By the time she reached the landing about the stairwell, a door below clicked open, and then closed. Briefly, a dim but comforting glow appeared downstairs. Catherine paused to listen. A second door opened more slowly, deeper inside the vast building. We reviewed Last Days by Adam Nevill last year and liked it a very great deal. 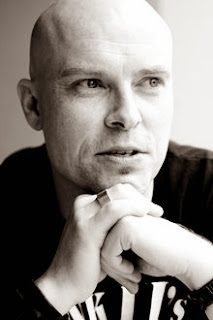 Nothing about House of Small Shadows shifts Shadepoint from the continuing view that he is becoming one of Britain’s most important horror writers. In fact, this may well be his best book. "Britain’s answer to Stephen King" a quote from The Guardian even proclaims on the cover, which is sort of both true and not true at the same time. 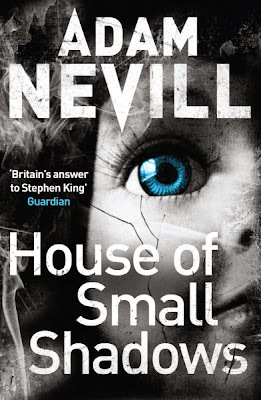 In House of Small Shadows Nevill successfully nails one of the most vital targets in the supernatural genre: the setting set-up. In Shadepoint’s view, supernatural novels work at the apex of their power when the setting, and most importantly the snare of the setting, work to perfection. Long term readers will be sick of our persistent The Woman in Black obsession, but Hill’s short novel is a perfect example of how this is done – in a flawlessly and continually believable set-up, solicitor Arthur Kipps finds himself trapped in the isolated Eel Marsh House. At night. Separated by water. He’s there to wind up the late Alice Drablow’s papers. Professional ambition and the codes of his era combine to stick him there. It makes perfect sense. The reader is completely immersed in the unfolding trauma. Another example is poor old Jack Torrance and family in The Overlook. The reader simply believes in their mountainside quarantine, the snow falling, the dark rising. Another: Jonathan Harker in the opening sequence of Dracula. In fact, perhaps the greatest snare of all time. In films it’s the same – take Laurie Strode. Why does she not flee the house? Get the hell out. Just run! Because she’s the babysitter, and the kids are there, and it’s their house. The house is her responsibility and her battlefield. It’s her job. Nevill’s central character, auctioneer Catherine Howard, finds herself in her own Kippsian lure as she is invited to Hereford’s The Red House, to value the contents of the place – home of the late M.H. Mason, acclaimed yet deranged Victorian master taxidermist and puppeteer. Occupied at present by only Mason’s ancient niece Edith and her shadowy housekeeper Maude, who warns her to never come back before Catherine has even reached her car after a first visit. Sound good? Indeed it does, and there is more than a touch of poor old Kipps in this excellent piece of set-up. Professional curiosity, the enormous scoop of it all, a personal desire to drive away demons of previous disappointment. This is a job she's going to get done. I have read one review where Catherine’s seeming inability to leave the house is seen as a small negative – of course, in order to value all the contents, she has to stay there overnight as the plot unfolds. Technically, there would indeed be ways around this, different responses. I get this, but I actually disagree with this view of Catherine's plight, but can’t really explain why because to do so would be a bit of a spoiler really. Just to say, don’t let this put you off. I think it makes complete sense. The Red House, or should I say Hereford’s Red House, is a marvellous creation. I mention Hereford, because Nevill has Susan Hill’s delicious skill in letting names work together for the horror good. Echoing Hill’s playfulness with people (Mrs Drablow) and places (Eel Marsh House, Nine Lives Causeway, Crythin Gifford, etc), Nevill has quite a bit of fun: a nearby house is called Magbar Wood, Cathryn grows up in Ellyll Fields near Green Willow and so on. It’s a superb way to create an underlying tension and menace. The Red House, with its reminders of the murder in the red barn, is superbly named. The house itself, “a place made of burgundy walls and shadow” welcomes poor Catherine “like a gullet, that seemed to reach into for ever.” It more than lives up to its ambitiously ghoulish name. The reader is taken with Catherine on a weird stop start tour of the house by old Edith (a dread cross between Miss Havisham and the witch in Hansel and Gretel) and without giving too much away, this takes in more than a few weird and creepy sights of the taxidermy/doll persuasion. Anyone with either a fear of rodents and/or stuffed rodents and the practicalities of this process would do well to avoid. Later, once Catherine is installed as house guest in this great sepulchre, and descends into the dark heart of M.H. Mason's working quarters, his films, his records, his instruments, it is hellish. And this is just in the stygian claustrophobia that is daylight in The Red House. In one masterwork of a set piece, lit only by the weakening glow of her mobile, Catherine is launched into the House at night, into the cacophony of scampering noises, the sudden glimpsed faces, the things beside her in the dark, but not seen. Nevill proves himself in this one scene to be a superb horror practitioner. Despite the great quantity of horror that is written, it really isn’t often terribly scary. Grue, gore and torture can be described, but fear must be invoked and it’s really not easy to do. Here, Nevill gives it his all, and it is a fully achieved bit of creepiness. This skill is extended to Catherine's ill advised trip to nearby Magbar Wood. I won't spoil the effect but it is a supremely eerie success. I think there is no answer to Stephen King, in Britain or anywhere. He is in a class and a world of his own. He's a bit like Sinatra - it's his world and we're just living in it, etc. King's recent books have even moved him to some extent out of genre. It’s not even clear what the question would be nowadays if we needed a British answer. But, Adam Nevill is a continually compelling writer, in a genre that always needs a brave new voice in what might be called ‘mainstream’ – breaking through with a technician’s skill and a gift for setting, storytelling and characterisation that says strongly and with a fan's own intent, this may be the horror genre but it has emotional purpose and intelligence. In this sense, Adam Nevill is our answer at the moment.